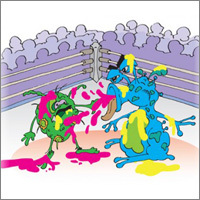 Competition encourages bacteria to produce secondary metabolites with therapeutic potential that they would otherwise hold in reserve. Credit: Michael Smeltzer, Vanderbilt University. 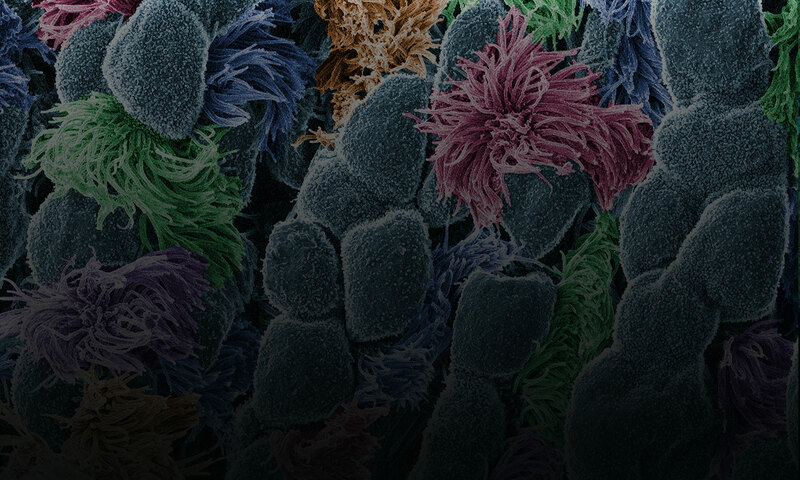 Bacteria hold a vast reservoir of compounds with therapeutic potential. They use these compounds, known as secondary metabolites, to protect themselves against their enemies. We use them in many antibiotics, anti-inflammatories and other treatments. Scientists interested in developing new medicines have no shortage of places to look for secondary metabolites. There are an estimated 120,000 to 150,000 bacterial species on Earth. Each species is capable of producing hundreds of secondary metabolites, but often only under specific ecological conditions. The challenge for researchers is figuring out how to coax the bacteria to produce these compounds. More than 70 percent of new drugs approved within the past 30 years originated from trees, sea creatures and other organisms that produce substances they need to survive. Since ancient times, people have been searching the Earth for natural products to use—from poison dart frog venom for hunting to herbs for healing wounds. Today, scientists are modifying them in the laboratory for our medicinal use. Here’s a peek at some of the products in nature’s medicine cabinet. A protein called draculin found in the saliva of vampire bats is in the last phases of clinical testing as a clot-buster for stroke patients. 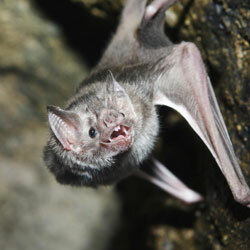 Vampire bats are able to drink blood from their victims because draculin keeps blood from clotting. The first phases of clinical trials have shown that the protein’s anti-coagulative properties could give doctors more time to treat stroke patients and lower the risk of bleeding in the brain. When Baran’s research team succeeds in synthesizing an important natural product, the group sometimes celebrates with a cake decorated with a two-dimensional structure of the molecule. This molecule, stephacidin B, was isolated from a fungus and has anticancer properties. See images of other Baran lab cakes . As a newly appointed MacArthur Fellow, Phil Baran is now officially a genius. The MacArthur award recognizes “exceptionally creative” individuals who have made significant contributions to their field and are expected to continue doing so. Baran, a synthetic organic chemist at Scripps Research Institute in La Jolla, Calif., was recognized today for “inventing efficient, scalable, and environmentally sound methods” for building, from scratch, molecules produced in nature. Many of these natural products have medicinal properties. Baran has already concocted a host of natural products, including those with the ability to kill bacteria or cancer cells. In addition to emphasizing the important pharmaceutical applications of his work, Baran embraces its creative aspects: “The area of organic chemistry is such a beautiful one because one can be both an artist and an explorer at the same time,” he said in the MacArthur video interview .